Squid in a Box have bowed to public demand and have announced they’re working on a follow up to their twin-stick shooter Waves. It’s about time, I’ve been scratching at the walls in dire need of a good shooter. Waves: Arena Tactics ups the ante by upping, well, a little of everything. “There is a slew of new weapons and abilities that can be unlocked to customise your loadout as well as lots of new Arenas to fight in,” write Squid in a Box in the announcement post. 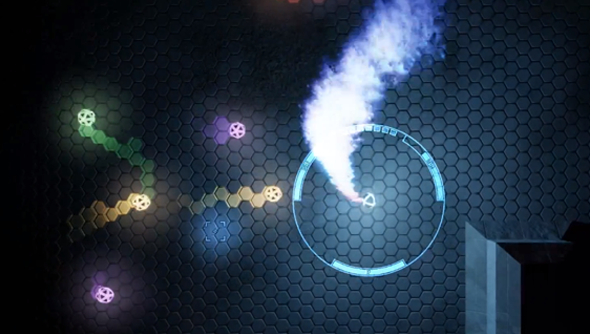 The big new feature is online co-op and competitive multiplayer for four players. The original had leaderboards but nothing like what Arena Tactics proposes. Unfortunately, we have a while till we get our hands on the game. It’s not being released till next year.